It&apos;s time to grab your friends, head outside and enjoy tunes from some of Austin&apos;s local talent. The city hosts a number of summer concert series throughout the season, offering visitors and residents a lively, memorable and, best of all, free musical experience. Unplugged at the Grove. Photo courtesy of Shady Grove. Chill on the front porch of Austin City Limits Live for The Wine Down, a popular music series held for 10 consecutive Wednesdays in the 2nd Street District. On top of the great tunes, concert-goers experience a lively night of shopping, eating and strolling around the corridor. Each week, a different restaurant provides food samples while guests enjoy happy hour-priced libations from series sponsors. An Austin lifestyle staple, Austin City Limits Radio&apos;s Blues on the Green returns to Zilker Park for its 25th season. Every other Wednesday during the summer, thousands of people throw down blankets and set up lawn chairs for an evening of music, food and fun. Sprawling out on the grass with your pals, a cold beverage and some great harmonies, now that&apos;s the Austin way. 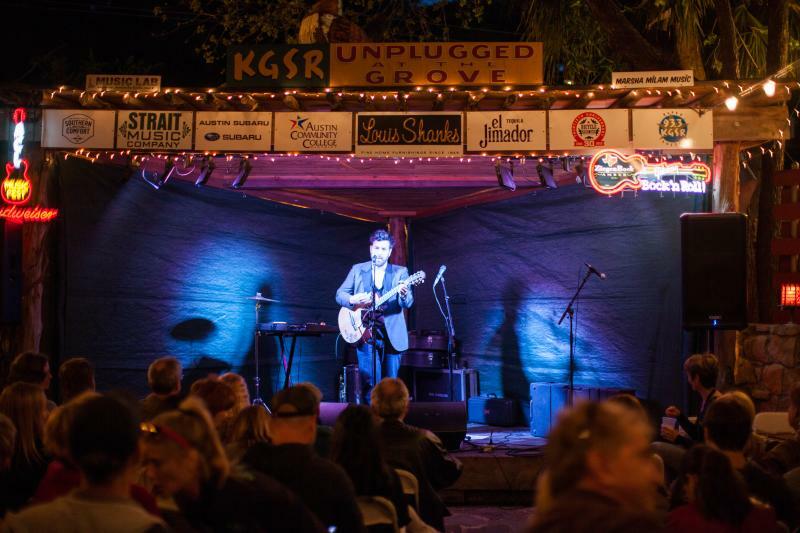 This summer, the Shady Grove welcomes back one of Austin&apos;s longest running free concert series, Unplugged at The Grove. Now in its 22nd year, the series brings together live music, great eats and cheap drinks with no cover charge. If you&apos;re in town on Thursday evenings, catch local artists like Shakey Graves, Dale Watson and The Unlikely Candidates starting at 8pm. For more information on live music events and venues, check out our Events Calendar or @MusicAustin for up-to-date live music details.